BSW was founded in 1962 as a small, family-run business with core values and work ethics to deliver the best possible service, whilst providing value for money to all customers. Currently BSW employs over 100 people but the same family values have remained and we are proud that we are viewed as a friendly and reliable local business by so many of our customers. Our team of certified engineers carry out boiler installations in Haywards Heath for a variety of residential, commercial and industrial customers. If you are a homeowner looking to replace your existing boiler, our team will provide expert guidance and advice on getting a new one installed. We also work closely with property developers and landlords on new build projects. Our team regularly carry out boiler installations across multi-site developments. BSW have been providing boiler repairs in Haywards Heath for decades, so we fully understand the impact it can have on a family. No hot water means no central heating, the inability to keep a house clean and no daily showers. For many these are key activities or requirements and it is made worse when a boiler decides to breakdown in the colder winter months. That’s why BSW are on hand to assist you with any problem that arises with your boiler or central heating system whenever it occurs. We employ a vastly experienced team of boiler engineers, who are all fully qualified under the Gas Safe scheme and accredited to work on all brands of boiler – including Worcester Bosch and Glow Worm. Our team of engineers are well versed in all types of potential problem within a boiler or central heating system and can generally assist with even the most complex of issues. Sometimes a repair is not enough to fix your central heating system, this is particularly true for older boilers or ones that have had numerous repairs in the past. 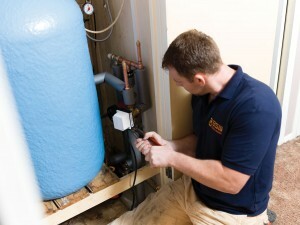 BSW have vast experience in supplying boiler replacements in Haywards Heath and across Mid Sussex. With a range of boiler options available to you, we work with you to ensure any installation meets your personal needs, making sure any disruption caused by the situation is kept to a minimum. A healthy boiler is key in ensuring your house is kept warm and minimising the risk of a boiler breakdown or failure. With a boiler’s average lifespan lasting between 10 and 15 years, it is important that there is regular maintenance carried out to ensure it is as efficient and safe as possible. BSW are an environmentally aware company and we place great importance in providing our customers with all the options available to them including the use of renewables. We are fully qualified to supply and install a range of renewable energy systems under the Microgeneration Certification Scheme (MCS). We currently supply Mitsubishi Air Source Heat Pumps, Biomass Boilers and Solar PV panels to a range of customers throughout Sussex, Kent and Surrey. We offer all customers a free, no obligation quotation and are happy to arrange a visit to your home to assess your needs and requirements. If you would like to arrange your free home visit or need a boiler repair in Haywards Heath, please do not hesitate to contact one of our expert advisors on 01444 831138 or by completing the form at the bottom of the page.